Time to celebrate everything the Midlands has done for metal! PRESS RELEASE: For too long Birmingham and the Black Country have failed to celebrate what is rightfully theirs - to claim the city and the region as the birthplace of 'Heavy Metal'. Home Of Metal's digital archive launches this month to celebrate this iconic and globally influential sound and this is the opportunity for metal fans everywhere to share their devotion by contributing to its legacy! Home Of Metal digital archive is inviting fans of metal from all corners of the globe to share their passion for the music of iconic West Midlands metal bands Black Sabbath, Led Zeppelin, Judas Priest, Napalm Death and Godflesh - and contribute stories and memorabilia by uploading images, sound files and film footage to www.homeofmetal.com. The Home Of Metal digital archive is looking for everything from concert tickets to photographs, badges, album covers, t-shirts, demo tapes, fan letters, fanzines, flyers, lyrics, posters, press articles, set lists and promotional materials to build the collection online, which will inform a series of major exhibitions which are being developed for 2011. Home Of Metal is a celebration of the music that was created in the West Midlands, its legacy and influence across the world. Bringing people together to share their passion for the music by creating a digital archive, its ambitions also include the development of heritage tours and ultimately a permanent collection dedicated to telling the story of Metal and its unique birthplace for fans to visit in the future. 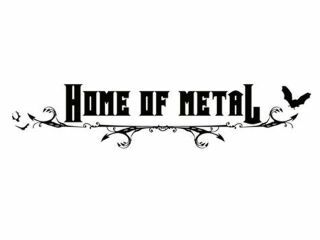 Home Of Metal aims to celebrate the bands that helped put Birmingham & the Black Country on the musical map, but also had the imagination and talent to create new genres and movements, all in their own individual ways. The five key bands who inform the Home Of Metal archive are Black Sabbath, unquestionably the founding fathers of heavy metal who introduced a sense of darkness, the supernatural, and huge, heavy riffs to an era still celebrating peace, love and flower power; Led Zeppelin, arguably one of the world's biggest ever bands, who were one of the first to dirty up RnB and recreate it as Hard Rock; and Judas Priest, defenders of the faith whose twin guitar attack paved the way for multitudes of melodic metal acts in their wake. The '80s and '90s are also represented by Napalm Death, whose first two albums introduced grindcore to an unsuspecting world, and finally Godflesh, whose brooding, desolate soundscapes pioneered industrial metal. Apart from their postal codes and accents, all of these bands share a common trait in that they all were unwilling to conform to the established rules and guidelines of their respective music scenes, and instead, embraced originality and all brought something staggeringly new to their respective musical peers, and for the most part, established new genres, sub-cultures and continue to inspire to this day. In addition to the ever-growing homages to these seminal bands, the Home Of Metal archive also features contextual material, a Heavy Metal family tree (which you can download as wallpaper) and special filmed interviews, Interviews with Tommy Iommi, Jim Simpson (Black Sabbath's first manager), Nicholas Bullen (founding member of Napalm Death) and more will go online over the coming months. In the summer of 2011, Home Of Metal founders Capsule will be producing and curating a series of ambitious exhibitions and associated programme under the banner of Home Of Metal and informed by the archive material. These will take place throughout The Black Country and Birmingham, UK, including exhibitions at Birmingham Museum & Art Gallery, Wolverhampton Art Gallery & New Art Gallery Walsall plus a conference, concerts and film programme.